In order to study the behaviour of fluctuations slower than one minute, the next section will analyze the mean power of each second during a day. Daily records with one second time resolution allow to study the fluctuations with durations from a few seconds up to an hour. Overall, the transition frequency from uncorrelated to correlated fluctuations is mild and, in fact, the ratio PSDfarm(f)/PSDtmUne(j) depends noticeably on atmospheric conditions and it varies from one wind farm to another. This is one of the reasons why the values of the coherence decay factors Aiong and Aiat may vary twofold among different sources. At higher frequencies, the control and generator technology influences greatly the smoothness of the power delivery. 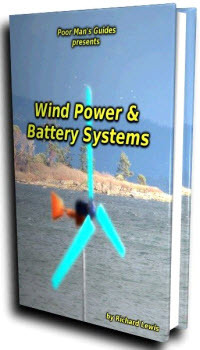 At low frequencies and under rated power, the variability is mainly due to the wind because any turbine tries to extract the maximum amount of power from the wind, regardless of their technology. During full power generation, the fluctuations have smaller amplitude and higher frequency. The case presented in this section corresponds to low/mid wind speed, since this range presents bigger fluctuations. The wind direction does not present big deviations during the day and the atmospheric conditions can be considered similar during all the day. For clarity, the turbine and the farm is generating bellow rated power during all the day presented in this sections, without null, maximum power or unavailability periods. These operating conditions present quite different features, and each functioning mode should be treated differently. Moreover, some intermittent power delivery may occur during the transition from one operation condition to another, and this event should be treated as a transient. In fact, this chapter is limited to the analysis of continuous operation, without considering transitory events (such features can be better studied with other tools). 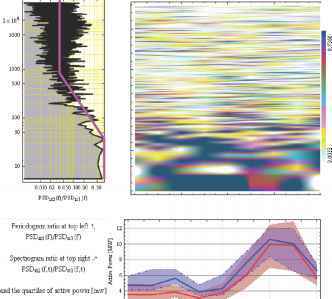 The PSD in the fraction-of-time probability framework is the long term average of auto spectrum density and it characterizes the behaviour of stochastically stationary systems. The spectrogram shows the spectrum evolution and the stationarity of signals can be tested with it. Every spectrogram column can be thought as the power spectrum of a small signal sample. Therefore, the PSD in the classical stochastic framework is the ensemble average of the power spectrums. For stationary systems, the classical and the fraction-of-time approaches are equivalent. 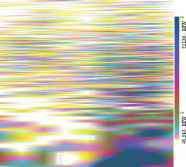 The analysis has been performed using the spectrogram of the active power. The frequency band is between 0,5 Hz (fluctuations of 2 second of duration, corresponding to 8,4 105 cycles/day) and 6 cycles/day (fluctuations of 4 hours of duration). and signal at bottom right —> (quantlies 5%, 25%, 50%, 75%, 95%). The shadowed area of the periodogram ¡aid the darkness of the spectrogram represent the variance of the signal (the PSD is multiplied by f in pbts with logarithmic frequency axis). Fig. 15. Spectrogram of the real power [MW] at a turbine (times the turbines in the farm, 27). The shadowed area of the penodogram and the darkness of the spectrogram represent the variance of the signal (the PSD is multiplied by f in plots with logarithmic frequency axis). Fig. 16. Spectrogram of the real power [MW] at the substation. Fig. 17. Squared relative admittance J2(f)/N2 of the real power of the wind farm relative to the turbine computed as the spectrogram ratio. Fig. 18. Coherence models estimated by WINDFREDOM software. Apart from the Short FFT (SFFT), the Wigner-Ville distribution (WVD) and the S-method (SM) have been tested to increase the frequency resolution of the spectrogram. However, the SFFT method has been found the most reliable since the amplitudes of the fluctuations are less distorted by the abundant cross-terms present in the power output (Boashash, 2003). Fig. 15 and Fig. 16 show the spectrogram in the centre of the picture, codified by the scale shown on the right. The plots shown in this subsection have been produced with WINDFREDOM software, which is freely available (Mur-Amada, 2009). The regions with light colours (gray shades in the printed book) indicate that the power has a low content of fluctuations of frequencies corresponding to the vertical axis at the time corresponding to the horizontal axis. The zones with darker colours indicate that fluctuations of the frequency corresponding to the vertical axis have been noticeably observed at the time corresponding to the horizontal axis. For convenience, the median, the quartiles and the 5% and 95% quantiles of the wind speed are also shown in the bottom of the figures. The periodogram is shown on the left and it is computed by averaging the spectrogram. Both the spectrogram and the periodogram show the auto-spectral density times frequency in Fig. 15 and Fig. 16, because the frequency scale is logarithmic (the derivative of the frequency logarithm is 1/f). Therefore, the shadowed area of the periodogram or the darkness of the spectrogram is proportional to the variance of the power at each frequency. Comparing Fig. 15 and Fig. 16, the fluctuations of frequencies higher than 40 cycles/day are relatively smaller in the wind farm than in the turbine. The amount of smoothing at different frequencies is just the squared relative admittance J2(f)/N2 in Fig. 17. For convenience, J2(f) has been divided by the number of turbines because J2(f)/N2~1 for correlated fluctuations and J2(f)/N2~ 1/N for uncorrelated fluctuations, (N = 27 is the number of turbines in the wind farm. 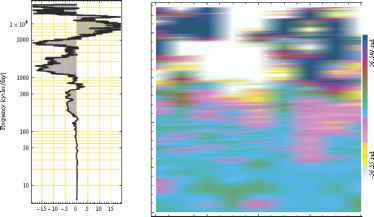 The wind farm admittance, corresponding to the periodogram and spectrogram of Fig. 16 divided by Fig. 15 is shown in Fig. 17. The magnitude scale is logarithmic in this plot to remark that the admittance reasonably fits a broken line in a double logarithmic scale. In this farm, variations quicker than one and three-quarter of a minute (fluctuations of frequency larger than 800 cycles/day) can be considered uncorrelated and fluctuations lasting more than 36 minutes (fluctuations of frequency smaller than 40 cycles/day) can be considered fully correlated. In the intermediate frequency band, the admittance decays as a first order filter, in agreement with the spatial smoothing model. Fig. 17 shows that the turbine and the wind farm medians (red and blue thick lines in the bottom plot) are similar because slow fluctuations affect both systems alike. The interquartil range (red and blue shadowed areas) is a bit larger in the scaled turbine power with respect to the wind farm. The range has the same magnitude order because the daily variance is primarily due to the correlated fluctuations, since the frequency content of the variance is concentrated in frequencies lower than 40 cycles/day (see grey shadowed area in the periodograms on the left of Fig. 15 and Fig. 16). In practice, the oscillations measured in the turbine are seen, to some extent, in the substation with some delay or in advance. The coherence Y#i#2 is a complex magnitude with modulus between 0 and 1 and a phase, which represent the delay (positive angles) or the advance (negative angles) of the oscillations of the substation with respect to the turbine. Since the spectrum of a signal is complex, the argument of the coherence jrc (f) is the average phase difference of the fluctuations. The coherence Yrc (f) in Fig. 18 indicates the correlation degree and the time pattern of the fluctuations. The modulus is analogous to the correlation coefficient of the spectrum lines from both locations. If the ratio among complex power spectrums is constant (both in modulus and phase), then the coherence is the unity and its argument is the average phase difference. If the complex ratio is random (in modulus or phase), then the coherence is null. The uncertainty of the coherence can be decreased smoothing the plot in Fig. 18. The black broken line is the asymptotic approximation proposed in this chapter and the dashed and dotted lines correspond to other mathematical fits of the coherence. Fig. 19. Time delay quantiles between the fluctuation delays estimated by WINDFREDOM software. Fig. 20. Estimated phase delay between the power oscillations at the turbine and at the wind farm output. The median value for each frequency f is presented on the left and the phase differences of the spectrograms in Fig. 15 and Fig. 16 are presented on the right. A phase unwrapping algorithm has been used to reconstruct the phase from the SFFT. The shadowed area in Fig. 19 indicates the 5%, 25%, 50%, 75% and 95% quantiles of the time delay t between the oscillations observed at the turbine and the farm output. Fig. 19 shows that the time delay is less than half an hour (0.02 days) the 90% of the time. However, the time delay experiences great variability due to the stochastic nature of turbulence. Wind direction is not considered in this study because it was steady during the data presented in the chapter. However, the wind direction and the position of the reference turbine inside the farm affect the time delay t between oscillations. If wind direction changes, the phase difference, Aq> = 2nf t, can change notably in the transition frequency band, leading to very low coherences in that band. In such cases, data should be divided into series with similar atmospheric properties. At frequencies lower than 40 cycles/day, the time delays in Fig. 19 implies small phase differences, Aq> = 2nf t (colorized in light cyan in Fig. 20), and fluctuations sum almost fully correlated. 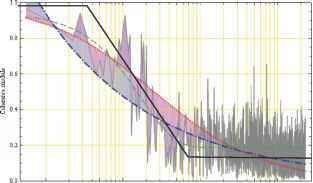 At frequencies higher than 800 cycles/day, the phase difference Aq> = 2nft usually exceeds several times ±2n radians (colorized in dark blue or white in Fig. 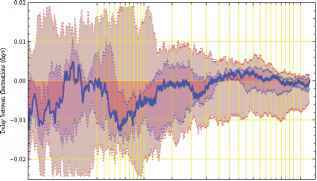 20), and fluctuations sum almost fully uncorrelated. It should be noticed that the phase difference A^ exceeds several revolutions at frequencies higher than 3000 cycles/day and the estimated time delay in Fig. 10 has larger uncertainty (Ghiglia & Pritt, 1998). Thus, the unwrapping phase method could cause the time delay to be smaller at higher frequencies in Fig. 11. This methodology has been used in (Mur-Amada & Bayod-Rujula, 2010) to compare the wind variations at several weather stations (wind speed behaves more linearly than generated power). 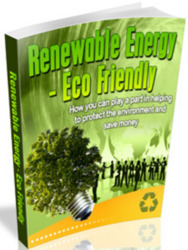 The WINDFREDOM software is free and it can be downloaded from www.windygrid.org.